This home is great for families and groups of friends looking for a nice place to relax. The beach is only a 15 minute walk away. 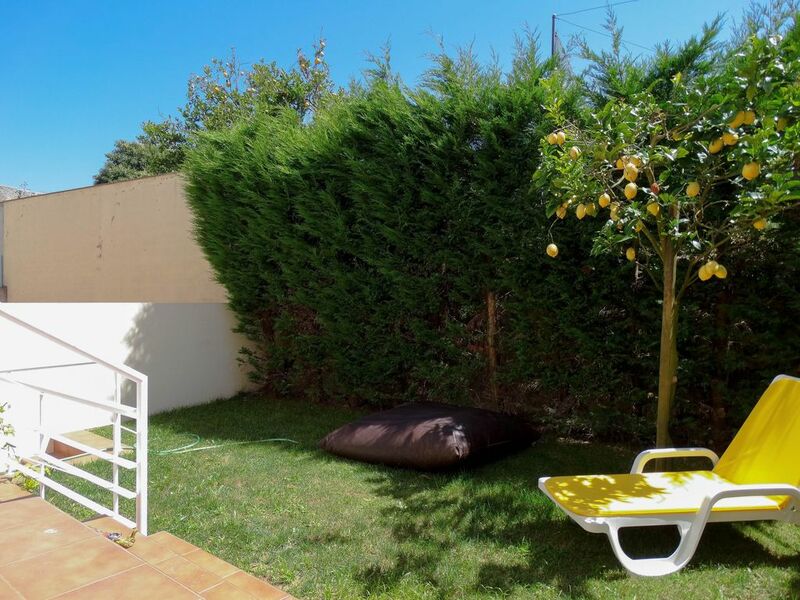 It is very close to the city center of Vila do Conde and public transportation. The Vila do Conde metro station is connected to the airport and less than 100 meters from the house. Next to the metro station you can rent bicycles. The house has the perfect location to visit Northern Portugal, is 1km from the A28, main access to the motorway network that can take you to Braga, Guimarães, Ponte de Lima, Viana do Castelo, etc. Porto Airport is 20 km away. Póvoa de Varzim Casino is 4km away. Located in a quiet neighborhood, the house has recently been remodeled. I am available to assist you with tips and information about the city during your stay. In the neighborhood there is a pizzeria, a mini market, a coffee shop, a hairdresser and other shops within a 2 minute walk. The local market is less 5 minutes walk away and has restaurants and shops selling handmade products, regional food, fruit, fish, meat etc. You can easily park your car on the street. The metro line B (Vila do Conde station) is only 100 meters away from the house and has connection to the Francisco Sá Carneiro airport line (journey takes about 30 minutes). In addition, this station has direct connection to the city center of Porto (which takes 35 minutes). Large 4 bedroom house with all the amenities you would require. TV, Wi-Fi, comfortable lounge/diner & a fully equipped kitchen. 4 large bedrooms, 1 ensuite, with comfortable beds & plenty of storage. Small garden which is a suntrap in the morning equipped with table, chairs, sun loungers & a BBQ. There is also ample parking in the nearby vicinity. Location of the property is ideal for walking access to many restaurants, bars & is about a 20 min. walk following the aquaduct to the river & small harbour. There are a couple of general stores within a 5 min. walk & a large supermarket within a 5 min. drive. Excellent all round experience & would highly recommend. We are frequent visitors to Vila do Conde although this is the first time we have rented a holiday home there. This house was a very good choice. It is conveniently near the metro station but also an easy walk from the town, river and sea. Follow the aqueduct for the best walk to the river or turn off it through the gardens of the remembrance centre. The two nearest restaurants (a pizza place on the same street and Venceslau just slightly further) were both excellent and inexpensive. The house is well kitted out with everything we needed. There is plenty of space inside and a good outside dining and sitting area. The Internet connection was the fastest I have used - I live in the middle of nowhere and am used to very, very slow connections so this was a real treat for the annoying interruptions to deal with business. The owners were very welcoming and helpful. Only one minor thing - the nearest baker seems to have closed permanently. We found one less than ten minutes away so even the laziest in our group (me!) could manage the early morning bun run. And it was a very good baker! Thank you, your feedback is important to us. I am happy to have enjoyed your stay in Vila do Conde. Thank you for using my house as if it were yours. I will be happy to welcome you again, as well as your friends. La casa è semplicemente perfetta. Spaziosa arredata con gusto e molto funzionale. L'ideale per famiglie e anche gruppi di amici! 4 camere da letto e 2 bagni completi più uno solo wc e lavabo.ha anche un giardinetto con barbecue e tavolo con sedie oltre 2 sdraio . Confortevole ed accogliente. La metro è a 2 passi e sei in centro a Trinidade in 30 minuti. I proprietari gentilissimi e molto accoglienti ed ospitali. Il rapporto qualità prezzo è ottimo. Consigliatissima. Maison très bien située, très vaste, très bien aménagée avec beaucoup de goût et il y a tout ce dont on a besoin ! La propriétaire fait son possible pour parler français c'est très agréable ! Wir hatten eine tolle Zeit und der Kontakt mit Ana, der Vermieterin war sehr nett. Jederzeit gerne wieder. Nur einen Mietwagen sollte man haben, das dass Stadtzentrum von Porto doch 30 min entfernt ist. Casa muy nueva, limpísima y súper equipada. La realidad supera las fotos de su presentación. Está justo enfrente de la parada del metro en una zona muy tranquila de la población. Todos los electromésticos funcionaban a la perfección. El surtido de menage súper completo. Los dueños muy amables y atentos, como llegamos en domingo noche, dispusieron ya en la casa, fruta, agua, queso y hasta un buen vino.